I tried out one of the new soap molds I found on sale, today. 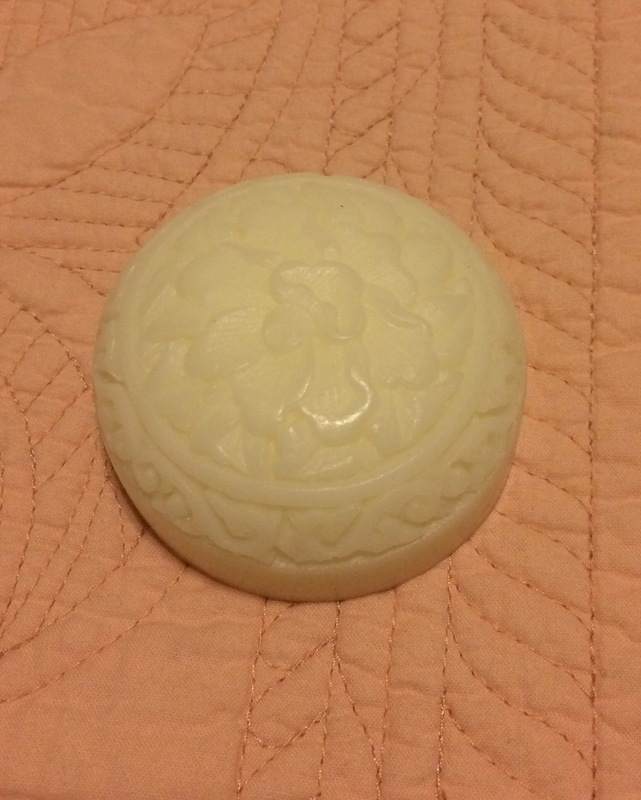 The detail is hard to see, but I love to combine translucent glycerine soap with just an ounce of coco butter soap to give a carved alabaster look. 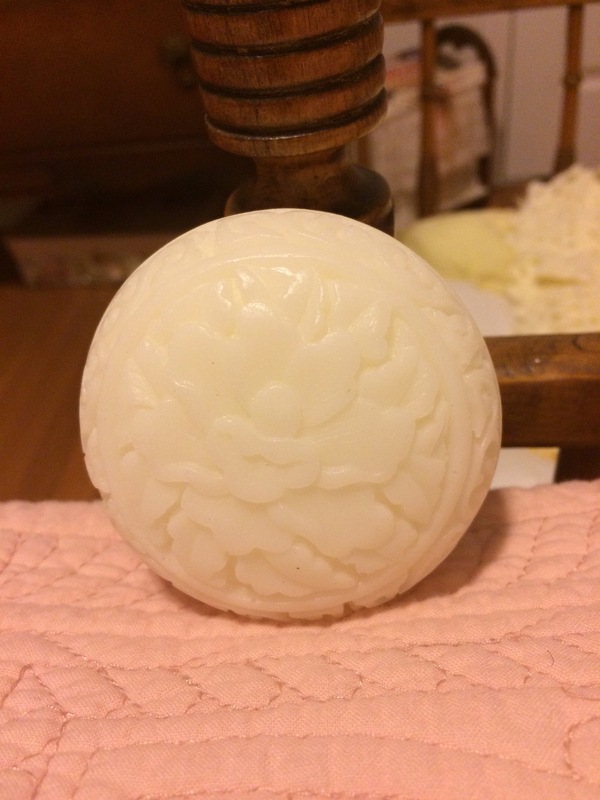 This is an Asian design with a magnolia in the center, and that’s what fragrance I used. I guess if it was peach or pink, it could be a camellia or a peony. I’m pretty sure I have some peony fragrance. It was a dear departed friend of mine’s favorite. I’ll have to try that next time. Friends who have used this kind of soap can attest that it is great stuff for shaving your legs. This cake is mine, but I’ll make more! 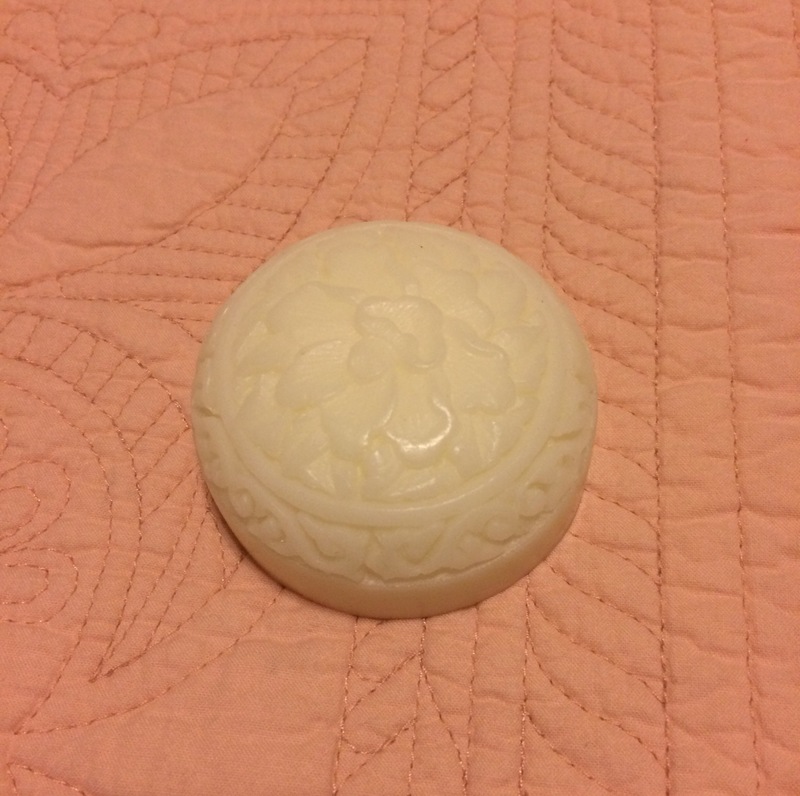 Filed under soap and tagged alabaster, Asian design, cocoa butter, fragrance, glycerin, magnolia, soap mold |	Comments Off on New Soap Mold!